ARRRRRR the boys any good at pirating? Thrill as Kris reveals his deathly illness and how he (mostly) overcame it! 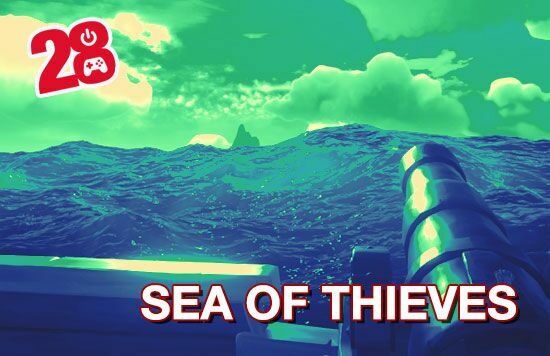 Gasp as Paul reveals he’s played more Sea of Thieves than he should have! Shudder as the lads make plans to hop into this gorgeous, confusing open world seascape and wreak havoc! Will Kris help out? Or will he cavort on his squeezebox as he and Paul come under fire from salty miscreants? Don’t forget, we have a copy of Sea of Thieves to give away to one lucky listener! To win, simply tweet what your pirate name would be at @28plays on twitter! AND, we have multiple copies of the wonderful Assassins Creed Origins: Discovery Tour to give away, also! What’s your favourite tapestry? @28plays!